I have been working off and on on my sweater...more off than on lately. The weather has warmed up, and I got distracted. It is not as clear as I would like, nor is it very flat. I found an adorable embroidery kit at a local quilt shop, and could not resist. It was sheep! I love it, and have been working on it diligently for 3 days. 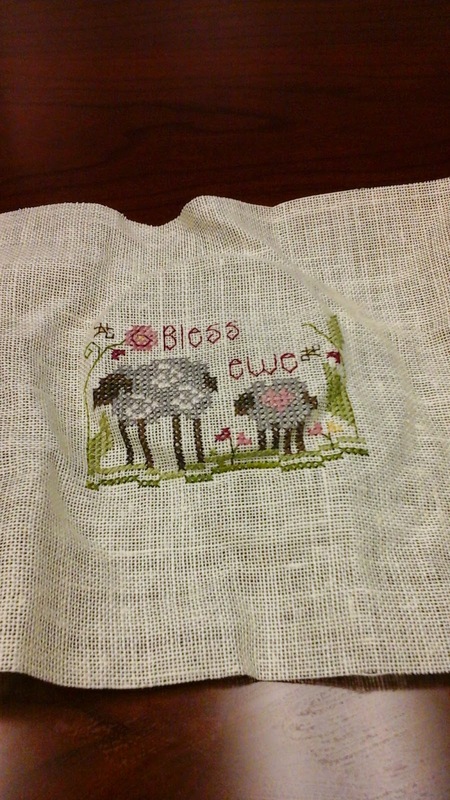 I have not decided if it will become a pin cushion, a wall hanging, or something else. But I love it. Now, I will get back to my other sock and sweater. I think I am ready for spring. How about you? I will share some of the other projects I have been working on this weekend! And, get ready for a big announcement!